It is a challenging for enterprises to locate the most ideal solutions from large numbers of cloud solutions available in the market that perfectly fits in the first attempt itself. 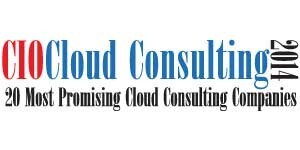 Therefore, identifying the right cloud consultants is the first step towards successful utilization of cloud. Here are 20 Most Promising Cloud Consulting Companies 2014.